Bring the warmth and ambience of a fireplace to your patio, deck or backyard with this Endless Summer LP fireplace, by Blue Rhino. 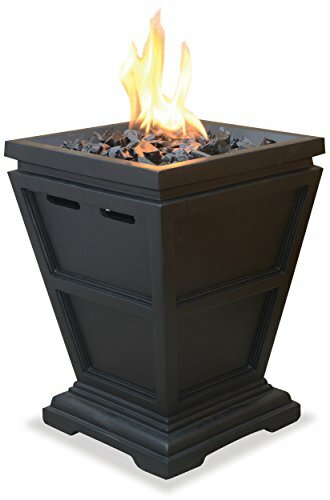 With its streamlined architectural detail, this 15" fire pit features a decorative base that cleverly conceals a propane tank (not included) and control panel, making it an attractive centerpiece for your outdoor living space. Adding to the elegance, this unit comes with black fire glass, which beautifully accents its flames. 1-year limited warranty included.